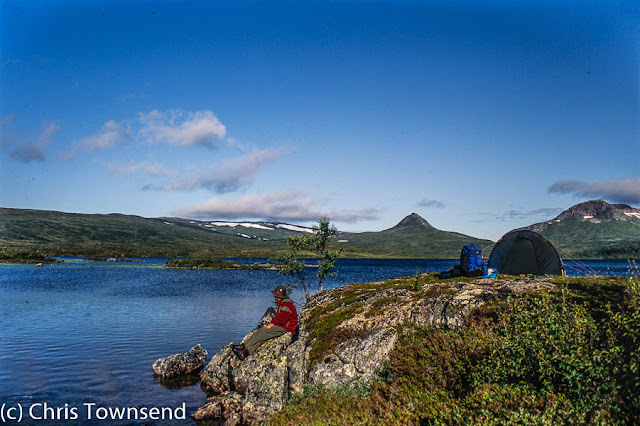 There's a new piece by Alex Roddie on The Great Outdoors website called 'Why are British backpackers heading for Scandinavia?'. 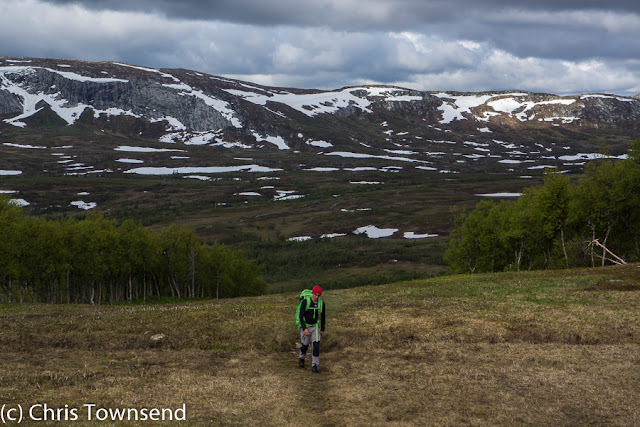 It's an excellent feature, with contributions from several experienced backpackers in praise of the Scandinavian outdoors. I'm delighted to see it but I must admit that one of my reactions was 'it's about time'. I've been promoting Scandinavia for walking, backpacking and ski touring since my first visit there in 1987 but there's never been much interest from many people. Eleven years ago I wrote a general introduction to the area for The Great Outdoors, which I posted here. If backpackers are now starting to discover Scandinavia that's great news. Back in 1982 I walked the length of Norway and Sweden. As it's the 25th anniversary of this 2200km walk this year I posted some pictures and a few notes about it here, and here. I never wrote much about this walk - just one magazine article I think - or gave many talks as there just wasn't much interest. Yet it was a magnificent walk with spectacular scenery and wild country. Reading Alex's piece revived ideas for another long walk in Scandinavia. I haven't been there for five years and my last trip was a short one as a judge for the Scandinavian Outdoor Award. 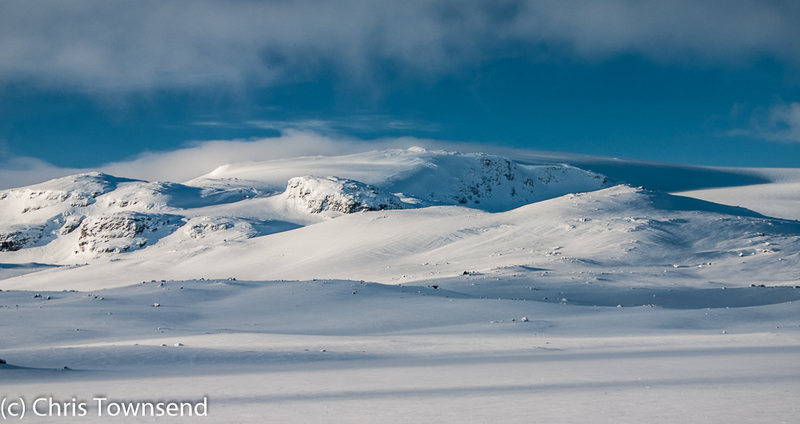 It did involve a wild camp and two days walking, which I wrote about here and here. In the last piece I discuss the differences between the Swedish and Scottish hills. That Scandinavia is like the Highlands on a vast scale is a theme in Alex Roddie's piece, where some walkers say that they feel the Highlands are too damaged by developments for enjoyable long-distance walks now. I disagree - try the Watershed! - but it is true that the Scandinavian mountains are mostly more natural in terms of vegetation and the sheer size means that avoiding developments is easier than in Scotland. Scandinavia is a superb place for backpacking but the season is short due to the northern location. 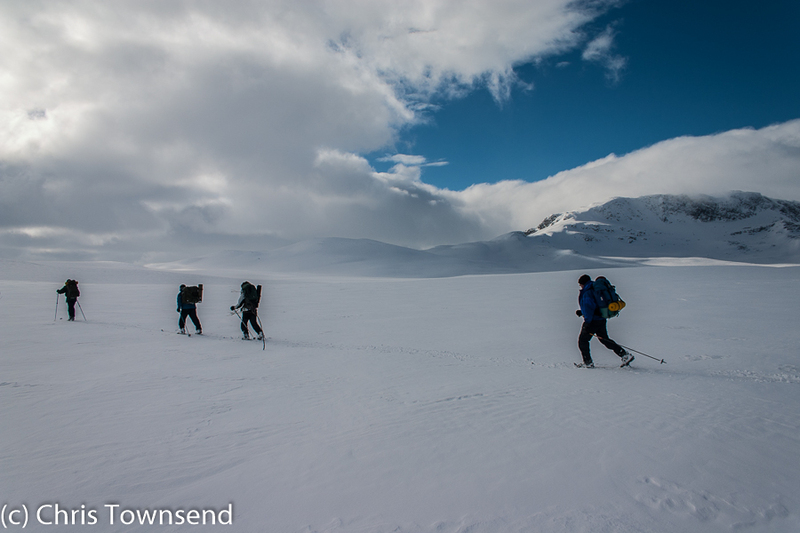 There is even more scope for ski touring. During the 1990s I worked as a ski leader, mostly in Scandinavia, and led many trips, mostly hut-to-hut, but some camping. When the land is snow-covered travel is often easier than in summer, as long as you have skis or snowshoes. Lakes and rivers become highways instead of obstacles. Dense vegetation is buried. My last ski tour in Scandinavia was eleven years ago when I led a hut-to-hut trip in the Halingskarvet and Hardangervidda region for the Inverness Nordic Ski Club. I must go back! Thanks Gerald. I look forward to reading your posts.